Concepts basic to Reformation theology are seen from a new perspective in this book by Holsten Fagerberg, noted Swedish theologian. The author deals with Reformation theology in terms of its historical context and its relevance for taday's theological scene. - Publisher Examines the continuing relevance of the Lutheran Confessions. 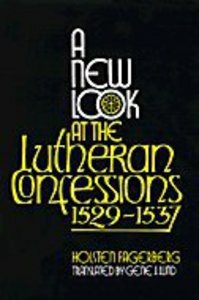 About "A New Look At the Lutheran Confessions 1529-1537"
Examines the continuing relevance of the Lutheran Confessions.